Did you know that Jameis Winston and Todd Gurley already have football cards produced by Upper Deck? That's right, 2012 Upper Deck USA Football set contains rookie cards, autographs and memorabilia for these superstars. Upper Deck started producing it's Team USA Football set in 2011. The set represents the high school players that are selected to play for the Team USA Football team. Since the players are playing for their country (not a college) and Upper Deck is the exclusive trading card manufacturer from the USA Football team, their is no negative impact on a players collegiate eligibility. It gives collectors the opportunity to purchase autographs and memorabilia from future All-Americans and Heisman Trophy winners before they ever hit the field! Buy a box of 2012 UPPER DECK TEAM USA FOOTBALL on Ebay RIGHT NOW! Every box delivers a 49-card base set plus 1 checklist card! Eight (8) autographs or memorabilia cards in every box! Includes at least 2 autographs! Look for limited #’d autographed memorabilia parallels! NEW! 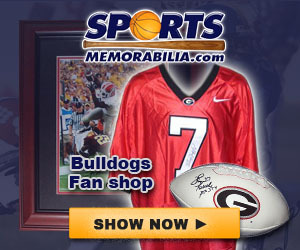 Includes autographs and memorabilia from USA Football’s Under 19 National team! Buy a box of 2012 UPPER DECK TEAM USA FOOTBALL !